Fructel, a Swedish company, has developed a slide-out gamepad that will turn any Android (2.2 and up) phone or tablet into a really nice handheld game console. 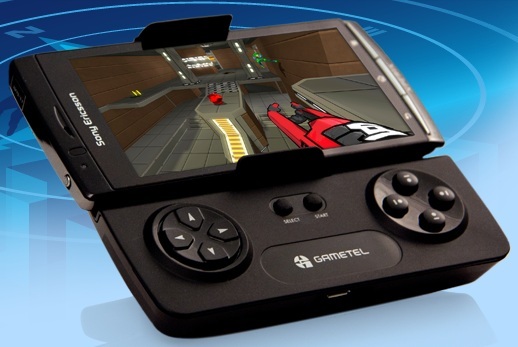 The gamepad, called Gametel, is not yet available in the market although PocketGamer has been able to get their hands on a pre-release version of the device. It is supposed to be pretty easy to set up with its spring-loaded rubberized clamps that can hold standard smartphones in place and a free downloadable driver from the Android Market. You also don’t need to worry about using any wires since the controller connects to your smartphone via Bluetooth. If you’re tired of your phone’s small screen though and your phone sports an HDMI out, then you can play games on your TV and enjoy a 2-player game with a friend who also owns a Gametel. Again, no wires needed other than the HMDI cable connecting your phone to the TV screen. The Gametel’s battery is supposed to last for 9 hours (while gaming), which means that you’ll just have to wait and see whether your phone or the controller will run out of juice first. The controller is due to be released this December and will be sold at £49.95 each. So if you don’t fancy giving your kid a new expensive handheld this Christmas, and they happen to have an Android smartphone, then you might consider getting him a Gametel instead. Of course, be warned that this might prompt your kid to ask you to upgrade his phone to an Xperia Play for a better gaming experience with his new Gametel!